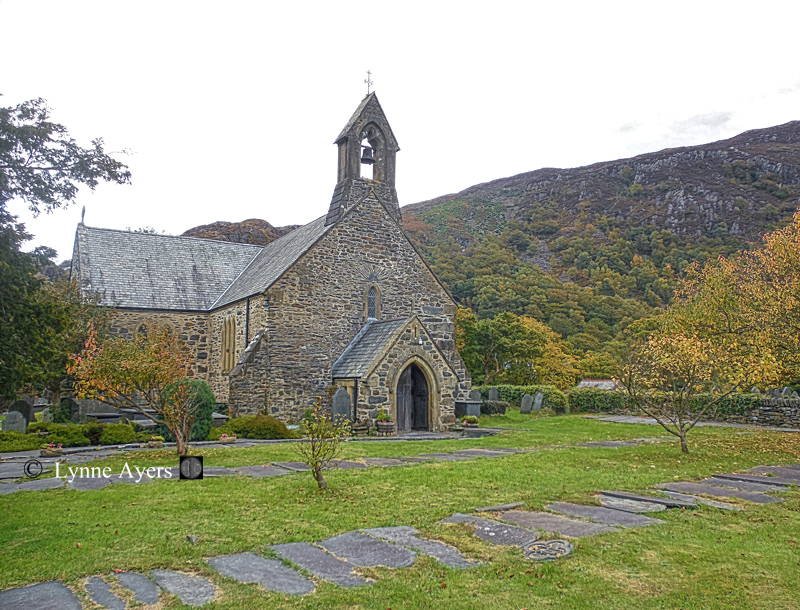 St. Mary’s Church in Beddgelert, Gwynnedd, Wales – please click on any image for a better view. 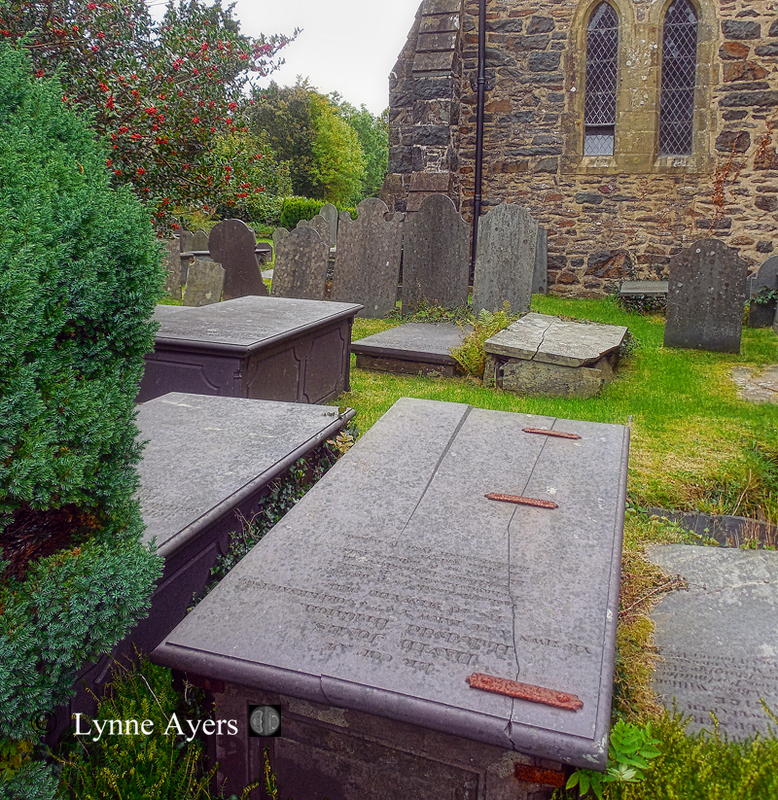 This site near where the Rivers Glaslyn and Colwyn meet has been a place of Christian worship since the 7th century. By 1230 the monastic community was recognized as an Augustinian Priory with a sizable church and a number of other buildings that have since disappeared. St. Mary’s suffered two fires, destroying not only buildings but many of the church records as well; once by the army of Edward I in 1283 and again three centuries later but traces of the medieval structure are still visible in the lancet windows above the altar and the arches on the north face, both dating from the 13th century. 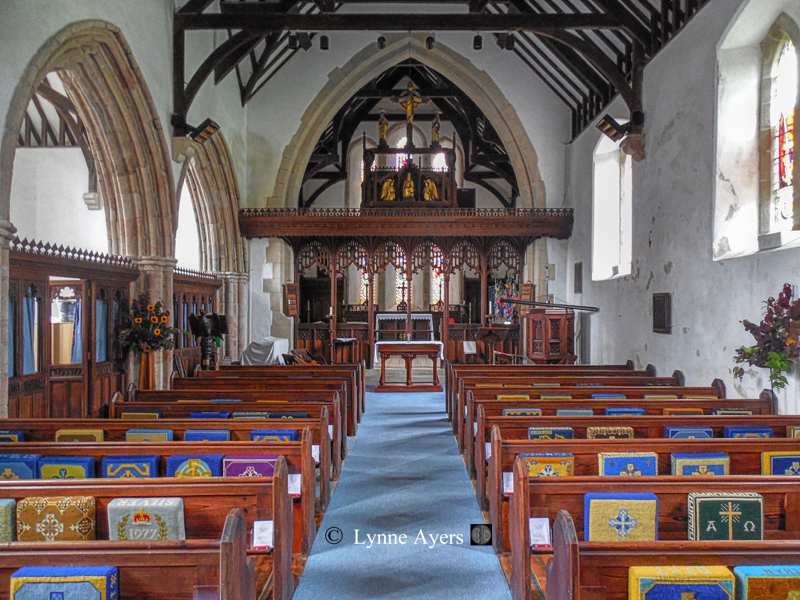 In the 16th century, following the dissolution of the monasteries, the priory became a simple parish church. The original panelling was removed in 1830, and the present panelling and ornate oak screen were given in 1921. Ancient stained glass was also removed in 1830, and the current very nice stained glass was given in 1882. Gelert was said to be a favourite hound of Llywelyn the Great. One day the prince went hunting, leaving the dog to guard his infant son. 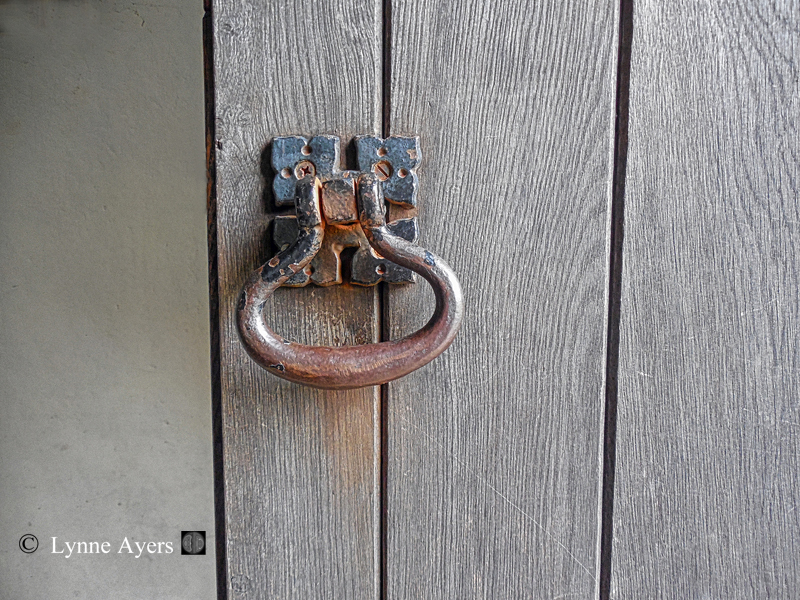 Returning home, he found his hall in chaos, Gelert smeared with blood and the baby missing. In fury he slew the dog, only to discover his son immediately afterwards, unharmed, beside a huge dead wolf, whose throat had been ripped out by Gelert. Llywelyn, it is said, never smiled again. It is also said that the legend is total fiction, fabricated as a tourist draw. 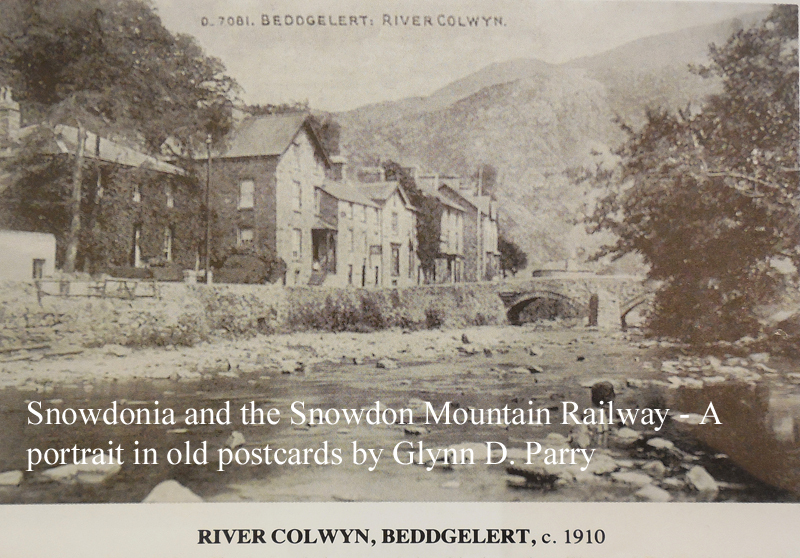 The village of Beddgelert hasn’t changed all that much since this photo was taken over a century ago. I really enjoyed my visit to north Wales. It’s beautiful, what stories it could tell! last night I watched a documentary about the Welsh people that settled in Patagonia in 1865 and still speak the language even now, fascinating. Hi Gilly. I often think about the stories – silent witnesses. I’ve heard that Wales is beautiful, now I am convinced 🙂 Thanks, Lynne. Wales IS beautiful. Particularly, for me at least, north Wales. I loved it. What is the best time to visit it? I visited southern Wales for two weeks in mid-October and had beautiful weather, but, I have to say, from talking with locals it seemed to be a relief from the rain scheduled just for our visit. 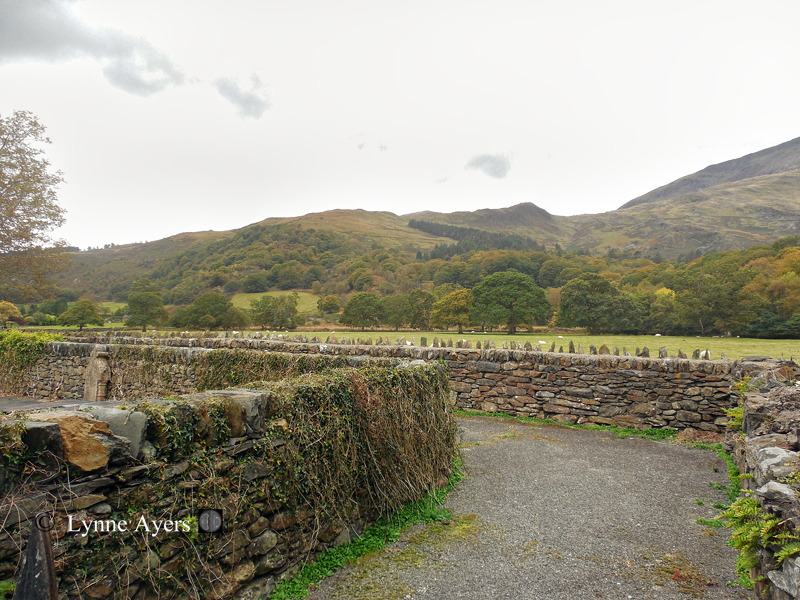 🙂 We were in northern Wales and Snowdonia in mid-October as well, though a few years later. Again, it was beautiful weather. Again, I have to say, we were in Scotland, Ireland and Wales for 35 days and had only one day of socked in rain.